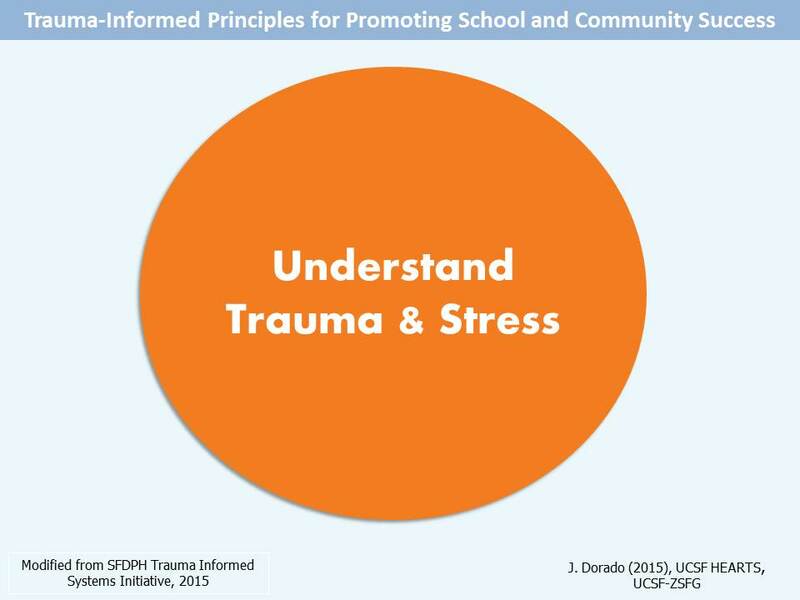 Without understanding trauma, we are more likely to misinterpret trauma-related behaviors as willful, “sick,” or “crazy,” which can lead to ineffective, stigmatizing and/or punitive reactions to trauma-impacted people. Understanding how trauma and stress can affect individuals, relationships, organizations, health, and work, can help to reframe otherwise confusing, aggravating, or fear-producing behavior. This reframing can help us to recognize these effects more accurately, which can then lead to more compassionate and strength-based, effective responses to trauma-impacted people that can promote healing as opposed to reacting in a way that inadvertently re-traumatizes and causes harm.